Q: What was it that originally inspired you to get into the gaming industry? As far as I know, almost everyone in the office has always been a gamer at a certain point. We’ve always been interested in technology, interactivity and arts in general too. Out of 4, 3 of us studied Multimedia Integration and our lead illustrator, Jean-Philippe, studied 2D Animation (all in Quebec, Canada. We’re French people, actually, so sorry for any mistakes we could make in this interview :] ). J-P never really learned anything about game development before entering the company. In our case, we learned the basics of game development in school and it became our biggest passion since then! J-P, though he never learned anything related to games, is a kickass illustrator and learned quickly how to use Flash and how we work in the industry. We’re pretty proud of our team! Q: Why the name “Juicy Beast”? Why! This is relatively simple. When we created the company, we knew we wanted to create games that differ from the others, in an original and creative way. The first step of reflecting that “philosophy” was to choose a name that could demonstrate it well. We then chose the name Juicy Beast, which refers to 2 important things for us. First, the word “juicy” refers to our creativity and all the “fuel” we got to run this business. We’re extremely passionate by what we do and we wanted it to be reflected in our name. You could probably picture it as brain juice or creativity juice, haha! Q: Are your long time goals focused on flash/indie gaming, or is it just a starting point for you? Q: About how long does it take to get a game done from start to finish? Actually, this depends a lot on your production team. What should mostly influence the production time are things like the number of people working on the game, how much code you can reuse from other games and the size and length of the game in general. In our case, since we’re a starting business, we still need to write a lot code from scratch for every game. We also give high importance to the visual aspect of each game, so illustrations and animations takes a lot of time for us (since J-P’s the only one working on it). We could say that it takes us between 1 and 3 months to complete a game so far. Since Gobtron was our first game, it took us a lot more time than we planned because of the working methods we had to develop and everything. Dale & Peakot is the “biggest” game we’ve worked on yet and it’s taking a lot of time, mainly because we’re writing all the code from scratch. Once we’ll have a couple of games in our “portfolio”, we’ll be able to reuse some parts and the production time should significantly drop! Q: How has the response to your first game Gobtron been? Q: Any exclusive info you could share about your upcoming game: Dale and Peakot? We could say that what we’re about to release is a demo version on the complete game, but we already mentioned it on our blog… That’s not really exclusive eh? Hum… Maybe we could say it’s a relatively big demo, especially for a Flash game, and that it has a lot of secret and hidden stuff in each level. DnP is that type of game where you got to explore if you want to find extra items. You’re not forced to go back and forth in the different levels to beat the game, but if you do, you’ll be rewarded. We also plan on adjusting different parts of the game after we release the demo to make sure that the complete version will be even better. That’s mainly why we’re only release a demo for now and not the complete game. If the player community complains about a certain point in the game, we should still be able to fix it for the final version. Actually, we don’t really plan on developing any specific genre. We first brainstorm on a gameplay concept and the “genre” follows by itself. Of course, we try not to do 2 defense games in a row, but we’re not telling ourselves “hey, let’s make a platformer game”. To answer your question more directly, we’re already developing in a “what the hell we feel like” manner haha. We mainly want to focus on the gameplay itself, since we really want to “explore” and find different ways of merging and tweaking game types to achieve original and creative results. Q: One last, very important, question. If you were a zombie, what kind of zombie would you be? Hum… good question! Probably the type of zombie that can remove any parts from his body and replace them with anything else to see what it does. For example, let’s try removing my forearm and replacing it a grappling hook launcher. Maybe I can grab tasty survivors more easily, or even climb on roof tops (that’s where we heard the juiciest humans regroup, hehehe). Damn fine answer to that zombie question! 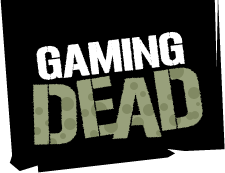 Game Developer: Juicy Beast | Site of the Gaming Dead < Loved it!